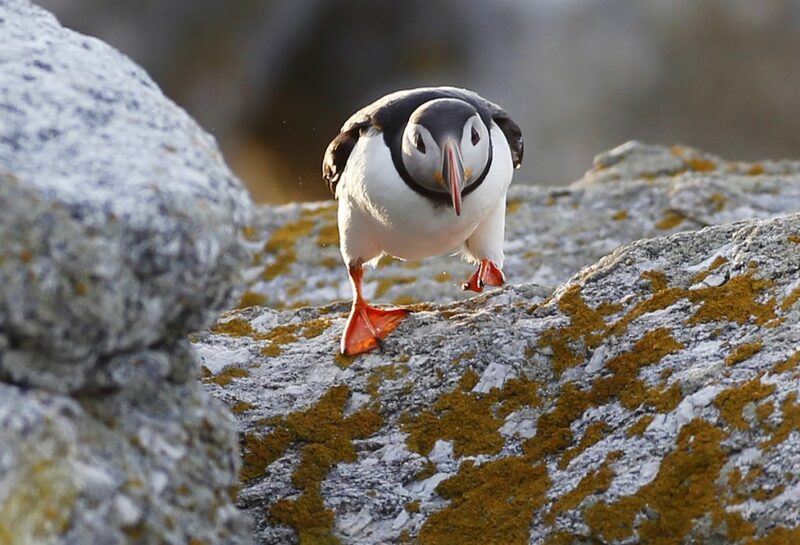 For 45 years, young interns with Audubon's Project Puffin have summered on remote islands in Maine, making a real impact on the species' recovery. 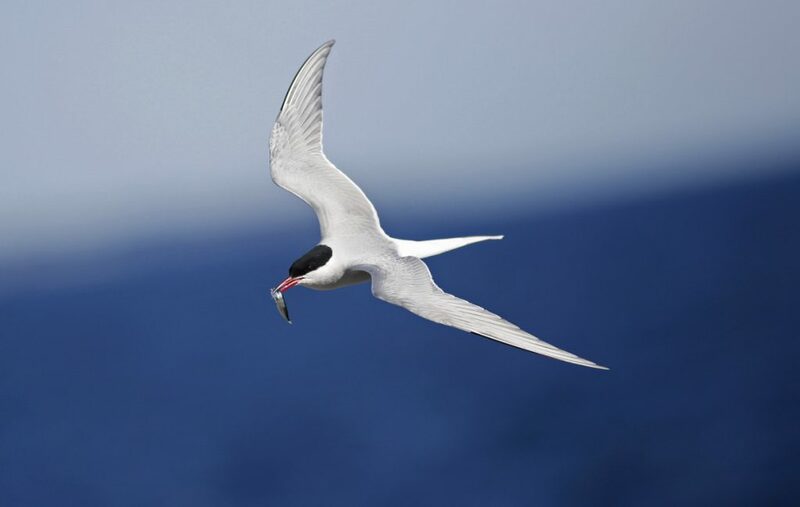 EASTERN EGG ROCK — Stephen Kress pulled his boat away from the rocky island and slowly motored toward the cluster of seabirds with the orange and red bills. One of his guests remarked how wonderful it was to see people on a nearby sailboat photographing the puffins – even if they didn’t know the story of the bird’s recovery in Maine. 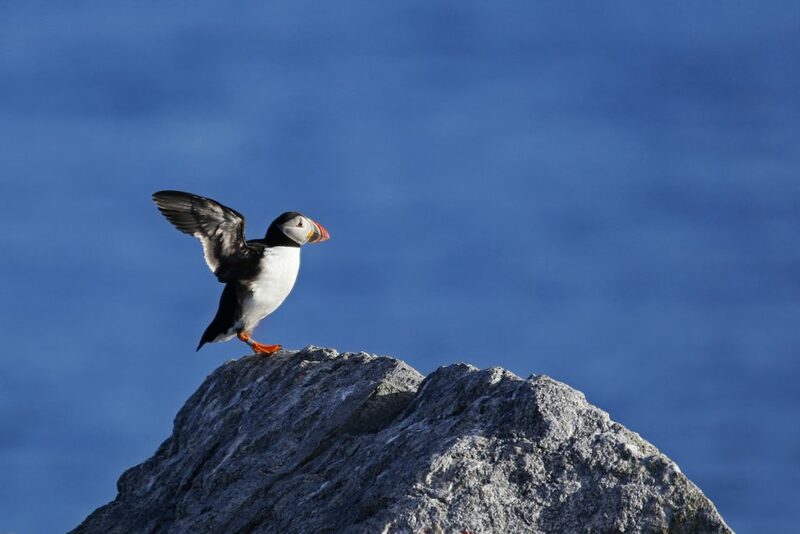 Since 1973, Kress has been behind the effort to restore puffins to their historic nesting islands in the Gulf of Maine. 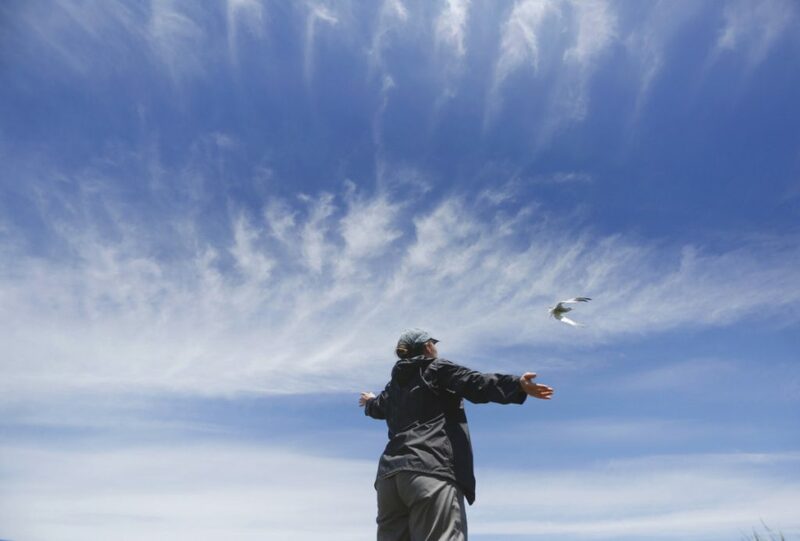 The backbone of his project are island stewards – interns who protect the birds and their nesting sites from predators and who gather meticulous data about puffins and their feeding habits. 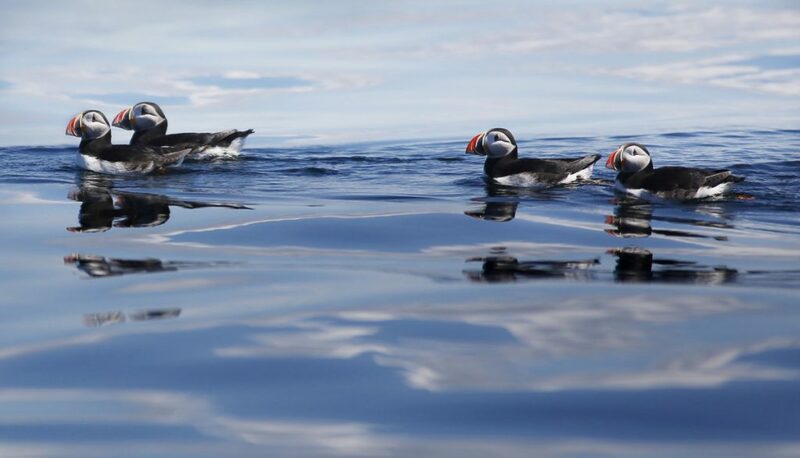 The role of these interns has become more critical in the past decade, as rapid warming in the Gulf of Maine has taken a toll on the food chain that puffins and their chicks depend on. Since 2004, the Gulf of Maine has warmed faster than anyplace else on the planet save an area northeast of Japan. 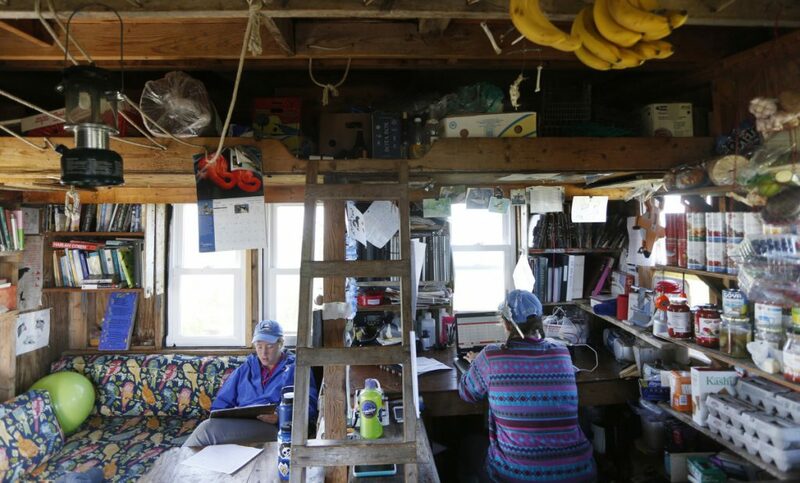 Since the mid-1970s, more than 550 interns have spent summers on the treeless Eastern Egg Rock and two other remote islands off the coast of Maine. 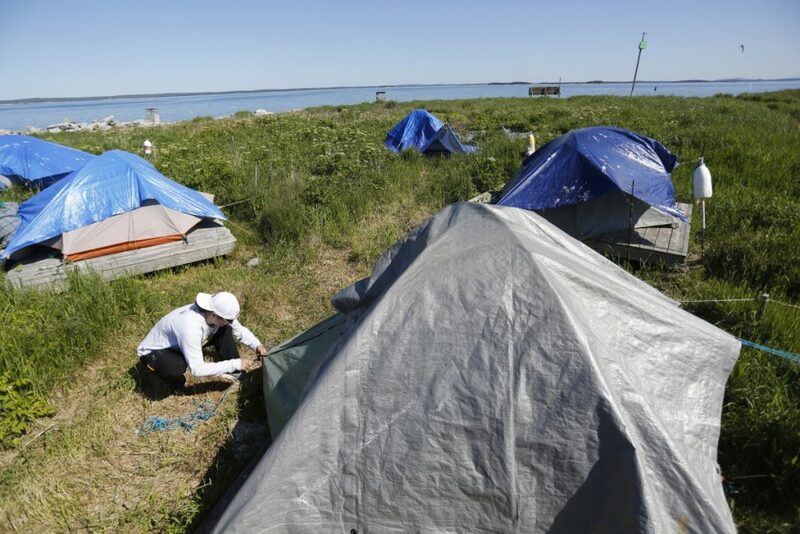 These island stewards, mostly college students or recent graduates, live in tents for 10 weeks from June to August during the puffins’ breeding season. For many, the internship was life-changing. Eastern Egg Rock is located 5 miles off New Harbor on Maine’s midcoast, and it’s at the southern limit of puffin habitat in North America. 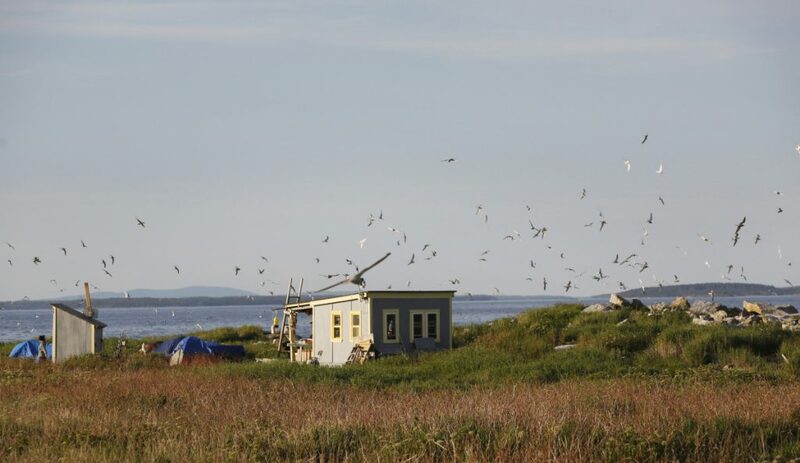 As with the other Project Puffin sites – Seal Island National Wildlife Refuge and Matinicus Rock in Penobscot Bay – the 7-acre Eastern Egg Rock is closed to the public during the puffins’ nesting season, leaving the four to five interns on each island with little human contact. Kress selects the island stewards – or Puffineers, as he calls them – through a competitive application process with as many as 200 applicants vying for 23 positions. 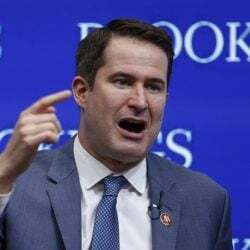 The interns get stipends, and the positions are paid for through donors who sponsor an intern at a cost of $7,000 for a steward and $10,000 for a supervisor. The long-term data sets collected by the island stewards have helped to show trends in climate change. With more than 30 years of data on the puffins’ diet, the data show changes emerging in forage fish populations. For example, haddock was not part of the Maine puffins’ diet before 2010. In 2017, haddock accounted for 14 percent of the food fed to puffin chicks at Seal Rock and 6 percent at Eastern Egg Rock. The puffin population has rebounded since 2012, when the warmest ocean surface temperatures ever recorded in the Gulf of Maine occurred. That year there were barely over 100 breeding puffin pairs on Eastern Egg Rock. 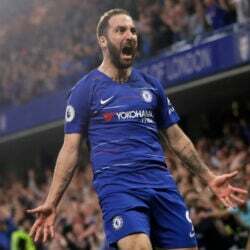 Last year, there were a record 172 breeding pairs – aided in large part by surface temperatures that were cooler by a half-degree Centigrade from the year before. One recent morning on Eastern Egg Rock, island steward supervisor Laura Brazier laughed out loud when asked the most challenging part of her job. 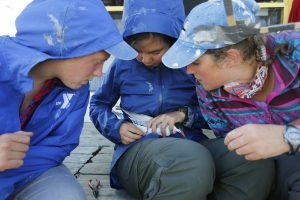 “I feel like just surviving is an achievement,” said Brazier, in her fourth year with Project Puffin. The four interns here – this year all young women – live in tents in front of the small cabin that serves as a communal space. The “Egg Rock Hilton,” as it’s known, is surrounded by a few trails and sparse vegetation. One main trail leads to 11 primitive, wooden bird blinds. But everything about the place is primitive. Food and water are brought to the island about every two weeks by Kress or an Audubon staff member in Bremen. But the stewards who choose to be here love the island. Nicole Faber came to work here in 2016 after graduating from Bowdoin, and this is her third summer working for Project Puffin. 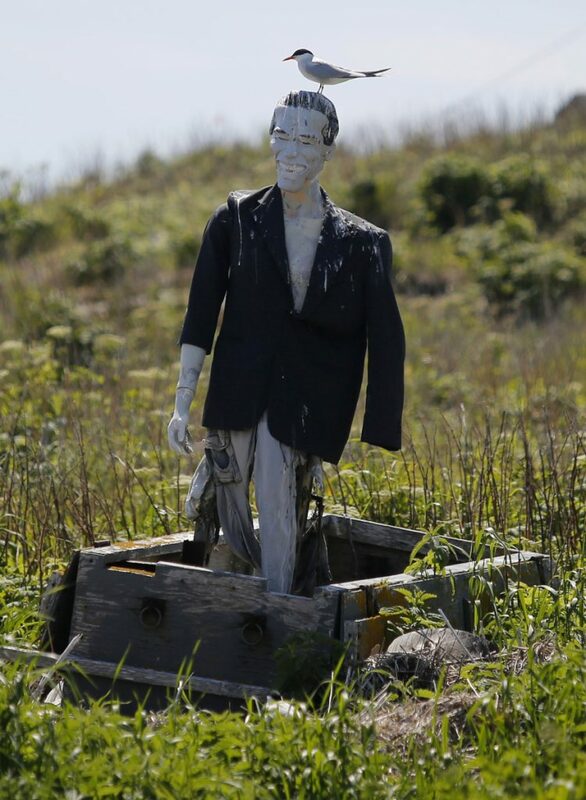 Faber said at the end of the summer coming off the island is a culture shock, and the memory of the island lingers. 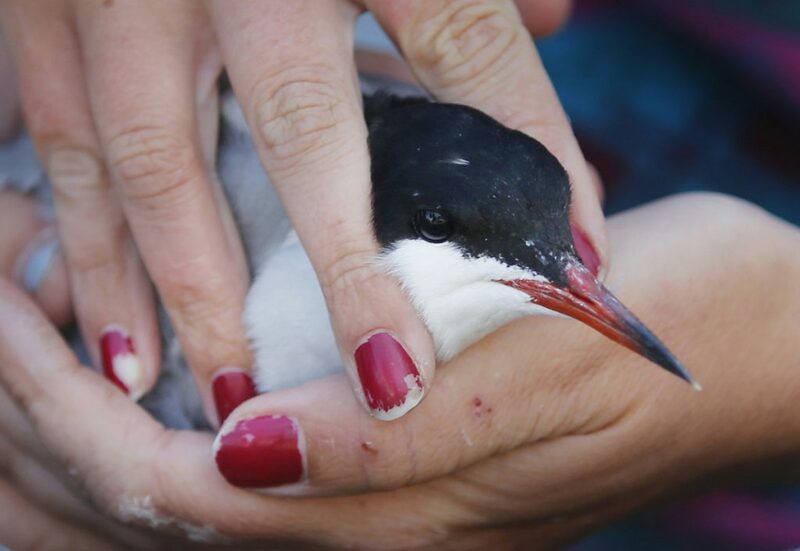 Laura Brazier carries a common tern that she trapped before banding it on Eastern Egg Rock. The stewards work 10- and 11-hour days, sometimes in the hot sun on an island with no shade, sometimes for weeks without a day off. 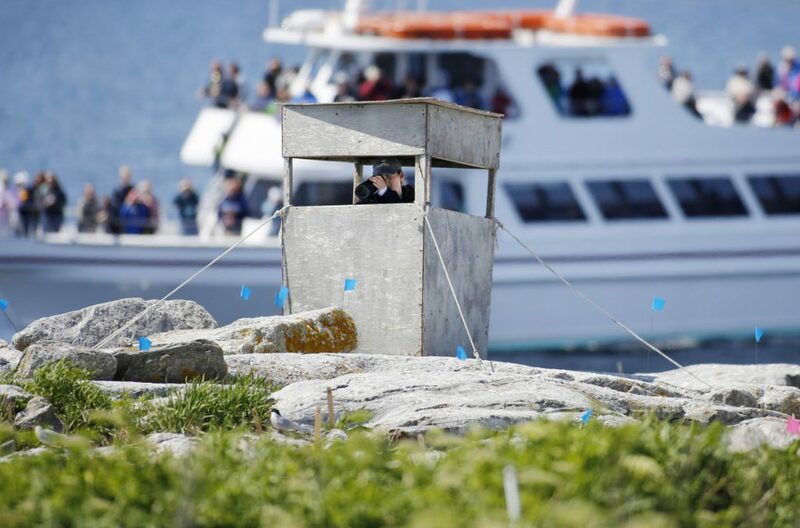 Most days they spend three-hour stints sitting in blinds recording minute details about the puffins and their behavior around as many as 266 burrows, which are numbered. “We have weather days,” said Brazier, a Boston native. “When it’s raining and the birds are not out and we can’t go outside, then we have a day off. So it evens out. 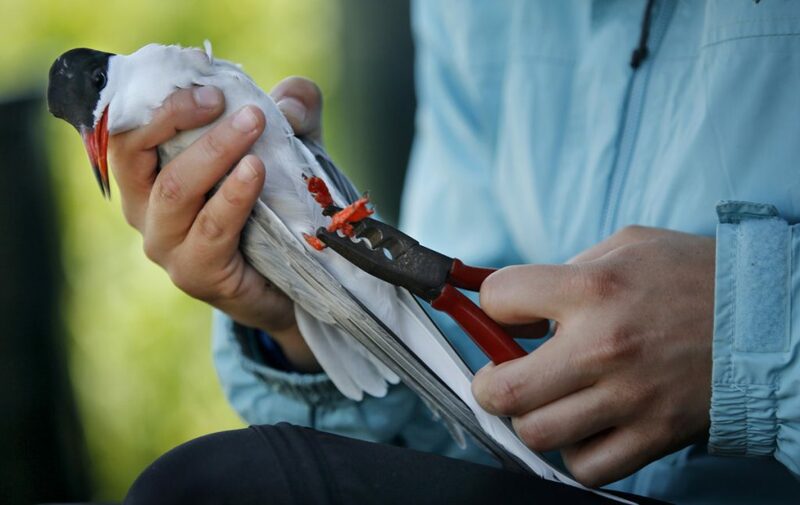 Brazier had great success this spring eradicating the island of gulls. Willing stewards are asked to shoot sea gulls to minimize the predation on puffins and terns, but they are not required to do so. Brazier came up with a more effective idea. She took several dead sea gulls and strung them up on stakes. The result: few to no gulls swarm around Eastern Egg Rock now, so the puffins and nesting terns are safe from a predator in search of eggs. 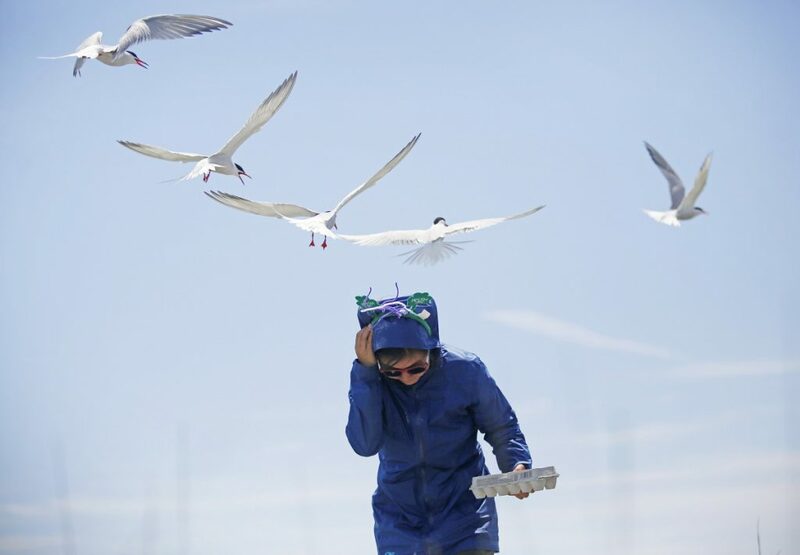 Last summer an island-wide census tallied 1,700 gull nests. 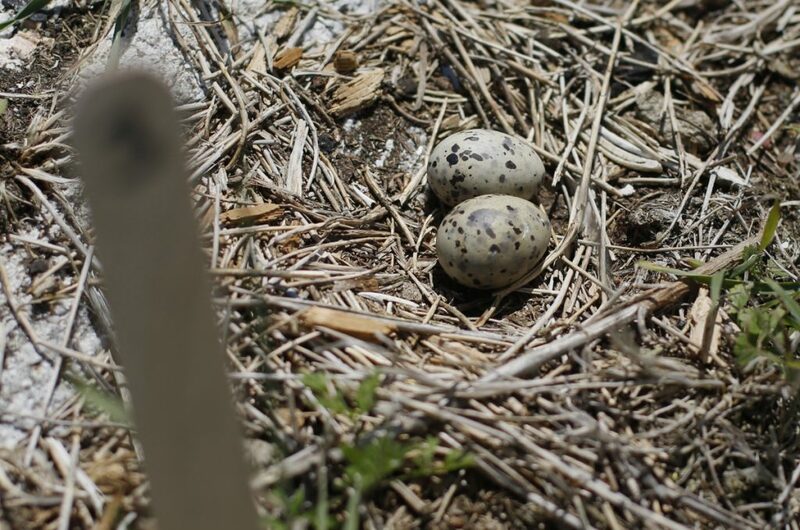 This spring the stewards found only one gull nest. Laura Brazier cradles a common tern while banding it on Eastern Egg Rock. 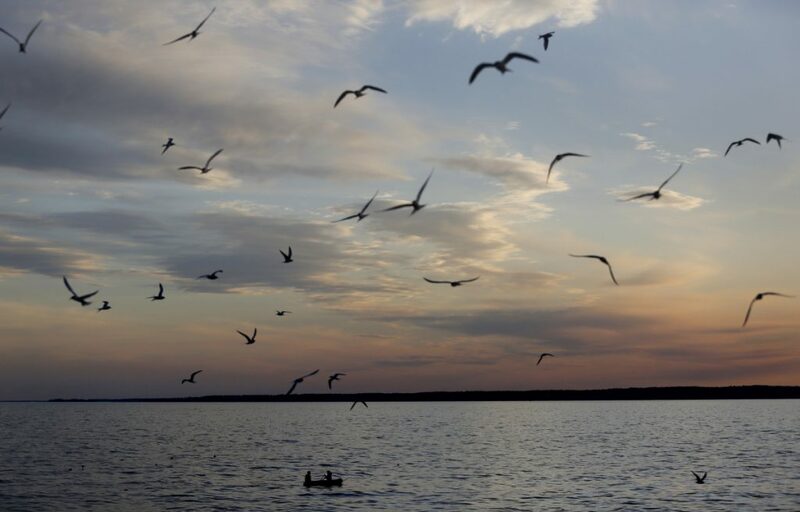 The project has grown to include other Maine seabirds. Brazier majored in biology in college, but wasn’t sure where it would take her. Now she is considering becoming an environmental educator. In 1975, Kevin Bell was part of the first group of island stewards to help Kress collect puffin chicks from Newfoundland and bring them to Eastern Egg Rock. He spent his youth living in staff housing at New York’s Bronx Zoo, where his father was the bird curator. Now the head of Chicago’s Lincoln Park Zoo, Bell said that living on Eastern Egg Rock shaped his life more than any other experience. 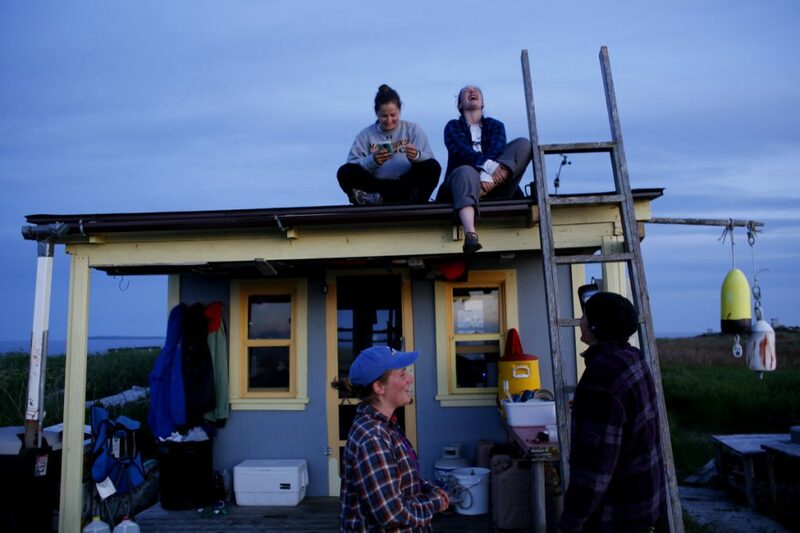 Nicole “Coco” Faber, left, and Laura Brazier, right, watch as Kay Garlick-Ott bands a common tern on Eastern Egg Rock. 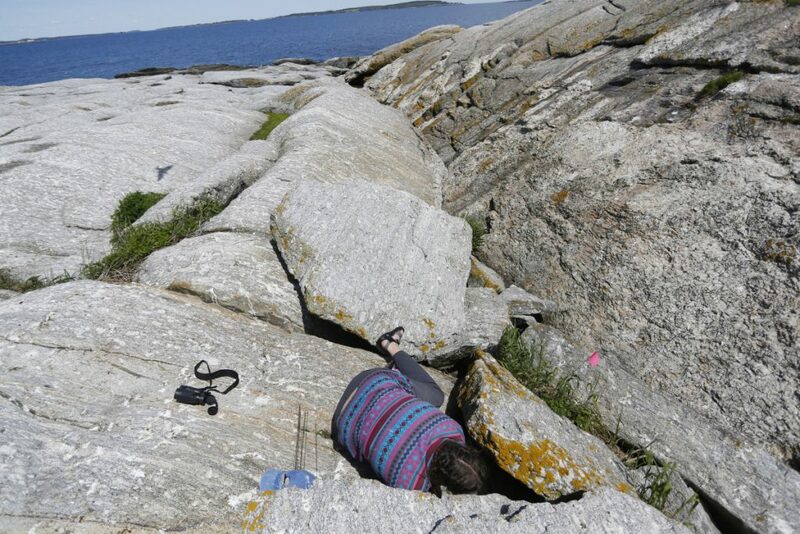 The role of these interns has become more critical the past decade, as rapid warming in the Gulf of Maine has taken a toll on the food chain that puffins and their chicks depend on. Today, Bell has a $30 million budget and a staff of 40 scientists. Part of the Lincoln Park Zoo’s mission is to study better animal care, which has taken his staff to South America and the Republic of Congo. He said the experience on Egg Rock has guided him. 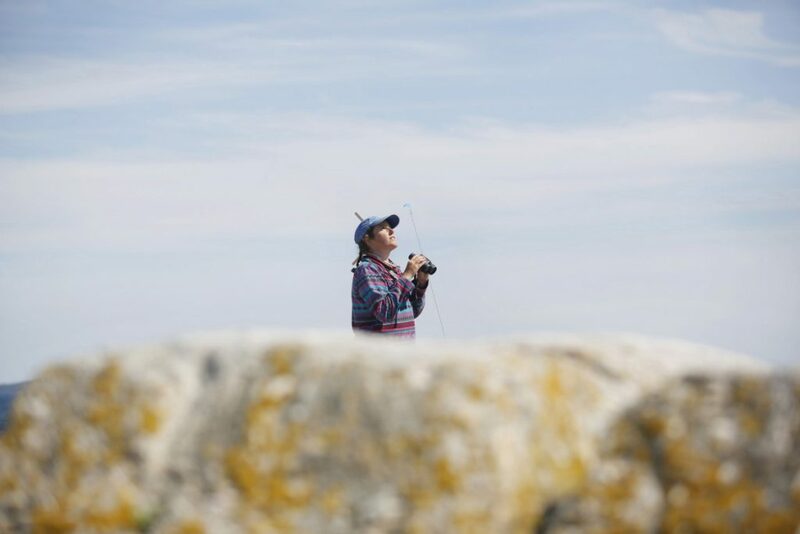 Once the puffins were reintroduced to the Maine islands, Kress had interns set out decoys and sound recordings to lure puffins back to their natal colonies – a method he pioneered called “social attraction,” because puffins prefer to be part of a colony. The method is now used worldwide. At the heart of Kress’ recovery project was the hope that chicks born on Eastern Egg Rock would return as breeding adults. 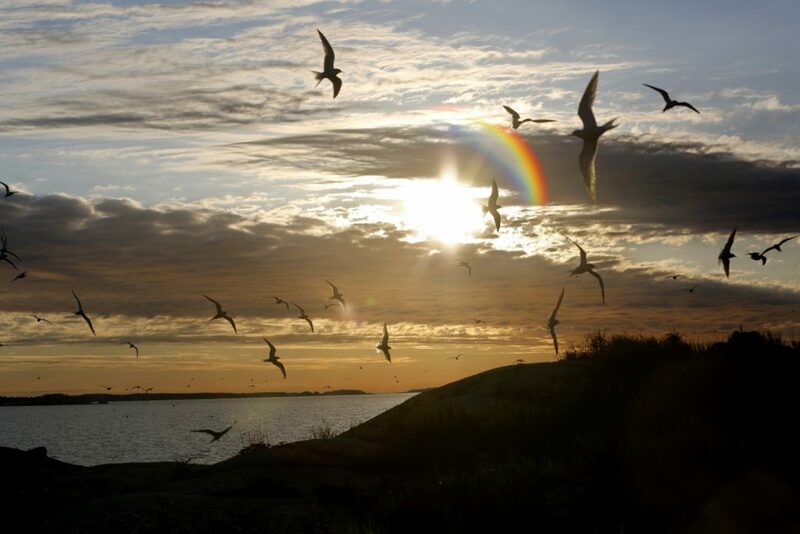 In 2000, there were only 20 nesting pairs on the island. Last year, there were almost eight times as many. Jennifer Boyce was the island supervisor on Eastern Egg Rock from 1992 to 1995. Now she lives in California and works for the National Oceanic and Atmospheric Administration as the team leader in the cleanup work done after chemical spills in order to recover wildlife species. She uses Kress’ social attraction method in her work often. 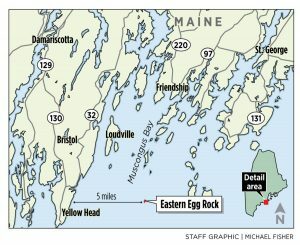 Boyce said the work on Eastern Egg Rock – being part of a tight-knit team living a primitive existence – remains a powerful memory. 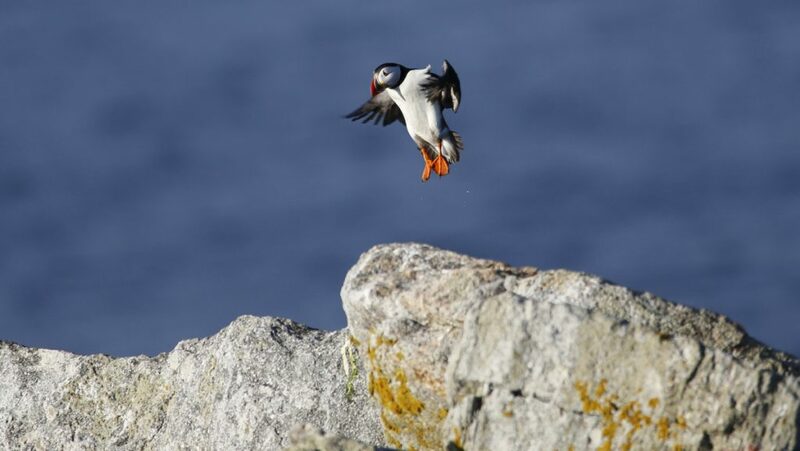 Boyce also said living among puffins was amusing, because puffins are amusing. 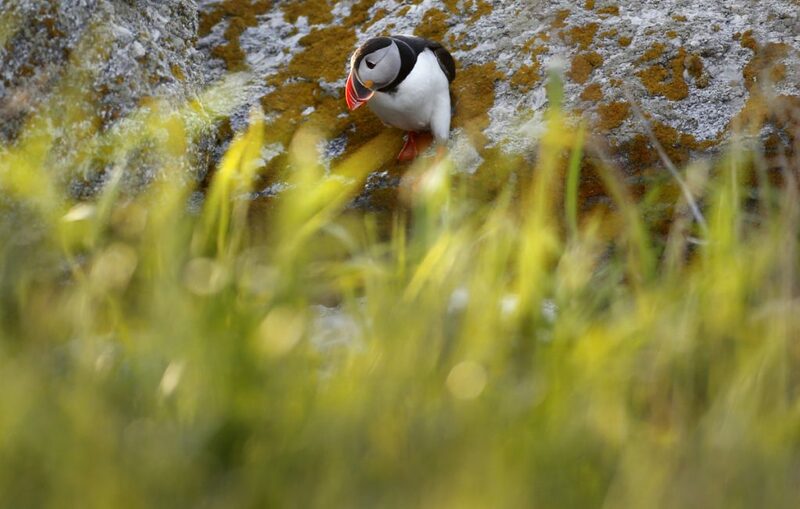 When young puffins return to the island before they reach breeding age, they peek in burrows to watch the mating puffins. 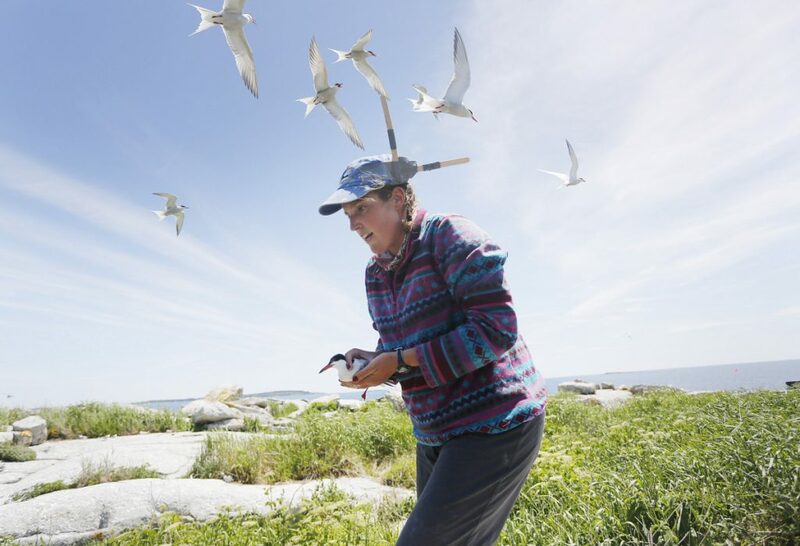 Christina Donehower, the Eastern Egg Rock supervisor from 2002 to 2007, grew up on the coast of Washington knowing she wanted to work with wildlife. When she came to work with Kress while in graduate school at Montreal’s McGill University, he was already a conservation icon. 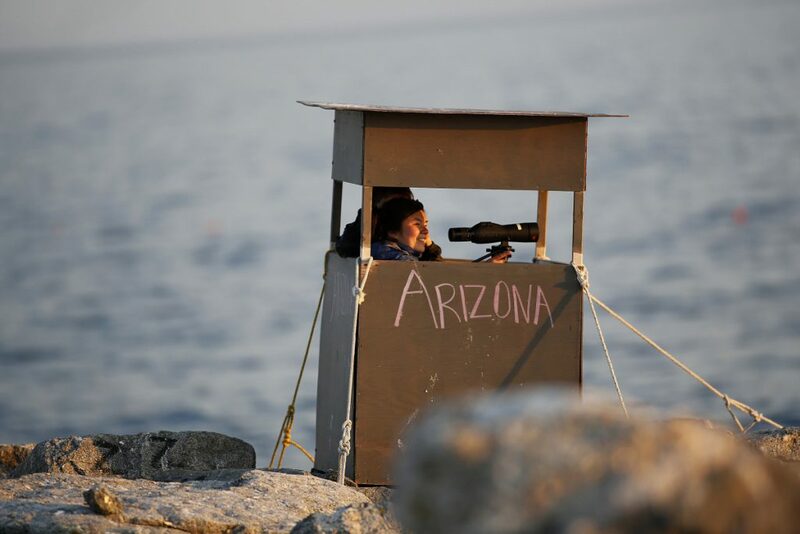 Audrey Holstead, of Lucas, Texas, observes terns on Eastern Egg Rock as a tour boat passes by. “When I first heard of Steve I was doing an internship in Midway Atoll National Wildlife Refuge in the North Pacific Ocean trying to lure short-tailed albatross there and using decoys and a sound system that, thanks to Steve Kress, we used to success,” said Donehower, now a biologist for the Oregon Department of Fish and Wildlife. Former interns of Project Puffin are scattered around the globe, but once a decade they gather for reunions to reminisce about the work they did in Maine. Many say the story of Kress and the puffins of Maine will live on as a story of success and perseverance.